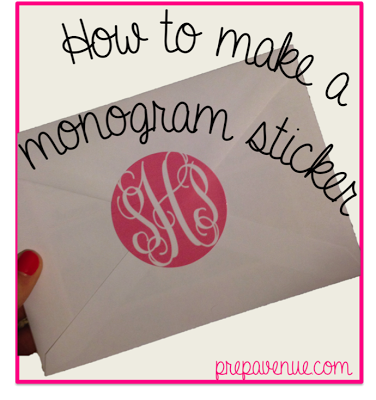 How to make monogrammed stickers! 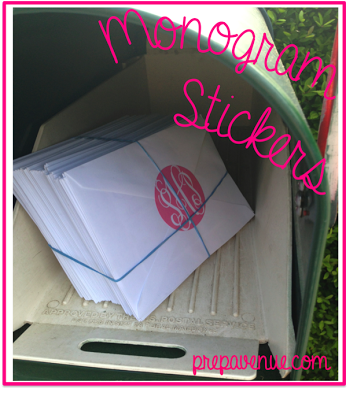 After posting about my graduation announcements and graduation party invitations, I’ve had lots of compliments on my monogrammed stickers! They are super easy to make at home so I thought I would explain it! They add so much to a plain white envelope and really make your letter pop! So I picked up the Avery “Print-to-the-Edge Round Labels” in Glossy White (make sure you don’t get the clear ones!). Both the 2” and the 2 ½” diameter work great. I found that the 2” is better for smaller envelopes or something like thank you notes (not so overwhelming). 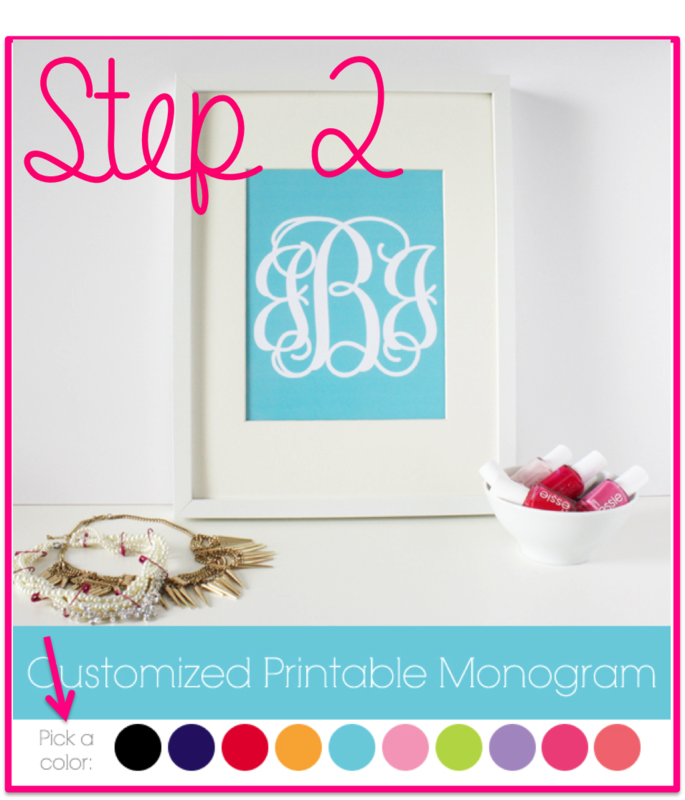 So now you must make your monogram! Easy part, I promise. There are multiple ways to do this and if you already have one saved on your computer as a picture then you can easily use that too. I suggest making it by following this link. 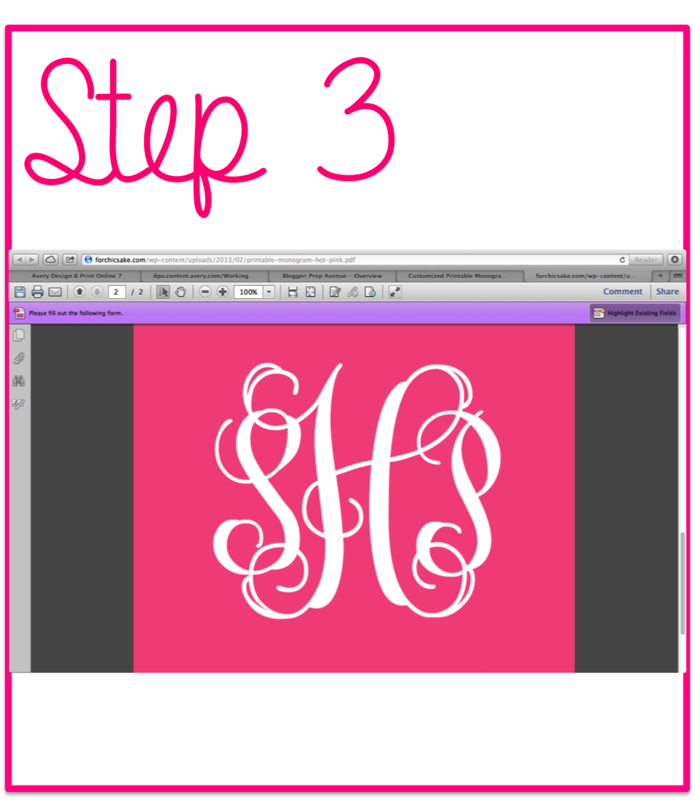 Once you are on this website, pick the color you would like your monogram to be! I, of course chose pink. You can pick from any of the 10 colors! Once you have chosen your color, follow the link and you can type in your own monogram! 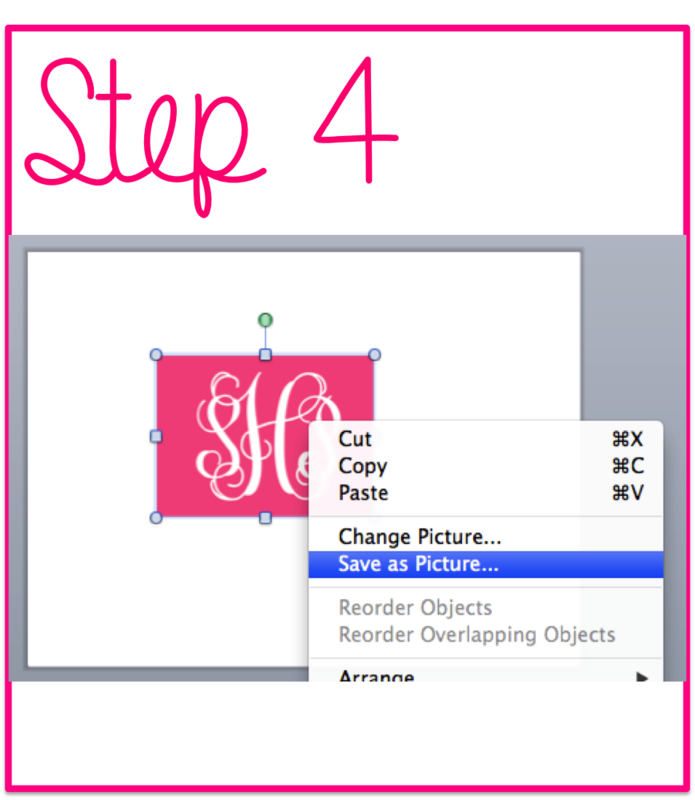 After you have typed your own monogram, you can screenshot this image! If you have a mac, you can screenshot this image by pressing control + command + shift + 3 and if you have a PC you can just press the print screen button. Paste this image into a PowerPoint and crop his picture so it’s just your monogram and the color square. Once you have cropped this picture, save the image on your computer. Once you’ve done this, you’re almost done! 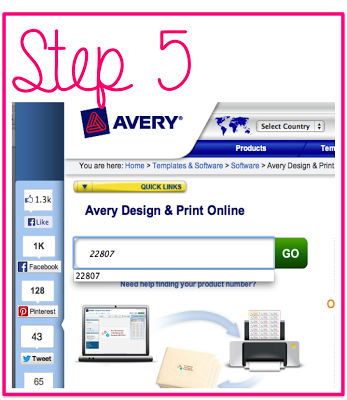 Now go to www.avery.com/print. 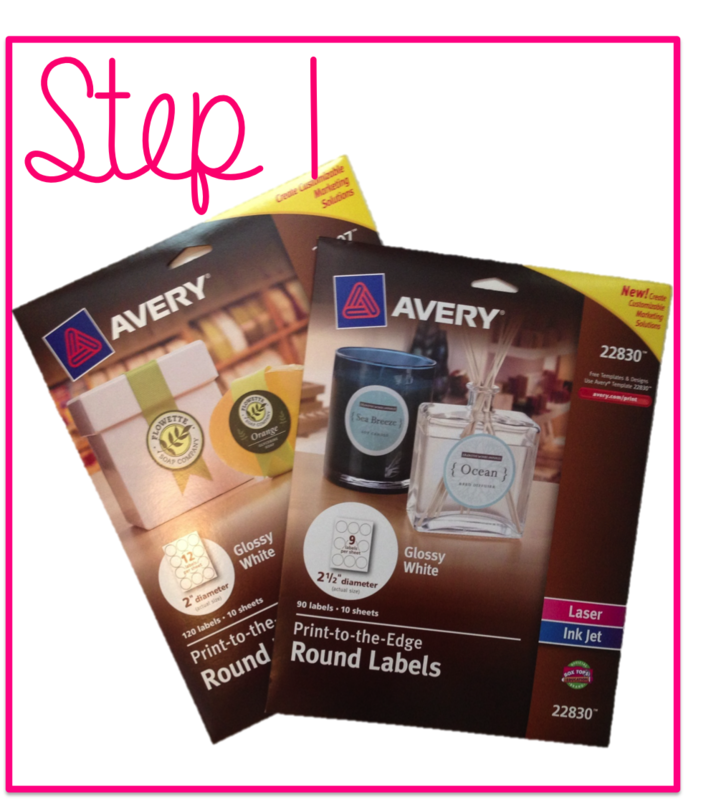 Depending upon which size you have depends what template number you have (located on the box of the stickers!). For the 2” stickers the template number is 22807 and for the 2 ½” the number is 22830. You type this number into the website home screen which will lead you to the template! This will lead you to the templates. Select the plain white ones until it leads you to the screen where you can design your own! Click on images and import the picture of the monogram you saved earlier! Stretch out the image and until it covers the entirety of the sticker! Once your monogram fills the entire sticker press the green preview and print button to preview the sticker in a different way. Double check in this view that there is no white space at the top or bottom of the stickers. If so, go back and stretch the image more. Once you have previewed it, make sure you have placed the paper face down in your printer and press print! I'm so obsessed with those monogram stickers! Thanks for putting up a tutorial, can't wait to try them out myself! these are so stinkin' cute! i'm going to be making these as soon as possible!! thanks for the tutorial! I have not tried the monograms yet but i am sure they will come out great. Thank you for the easy steps. Would you happen to know of a place that sells stickers bigger than 2 or 2 1/2 inch stickers. I plan to use these for the vases at my wedding and i dont think those will be big enough? Hi! I am so glad you liked the post! I found 2 1/2 inch white stickers online that you can order that you can print on. Tag me on instagram or twitter (@prepavenue) I would love to see a picture of the final product! Good luck! Thanks for the best blog.it was very useful for me.keep sharing such phone sticker ideas in the future as well.this was actually what i was looking for,and i am glad to came here! Love, love, love this. Thanks for sharing! Thank You sooo much for this amazing tutorial. Everything so so simple and well explained! I have now save this page to a bookmark for future projects. amazing for you share with us as well thanks. Help! My monograms are not lining up on the label sheet correctly! 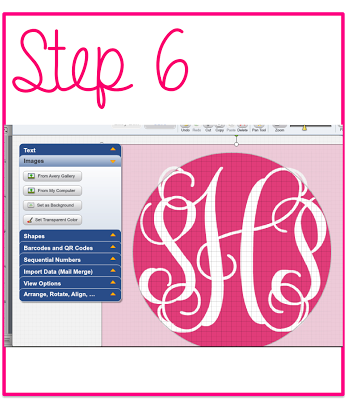 The monogram itself is perfect but it prints slightly off of the circle label! I have tried adjusting it in many ways but nothing seems to work! I have used up a whole sheet so far trying to get it to print perfectly on the circles! Test your printout on plain paper. Then hold in front of sticker sheet in the light. You should be able to see if the design will fit on the stickers without wasting another sheet of the stickers. Help! My step 6 looks just like yours, and the preview of 9 circle looks correct. However, when the pdf opens to print, the circles are way too big and basically touching each other. Any idea how to keep the sticker size the same? I have no clue why this is happening to me.. and I tried on both safari and chrome. Please help! Nevermind, I figured it out. 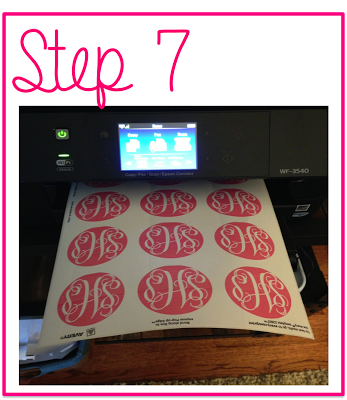 Excess ink will be printed around the sticker but the monogram still ends up centered. Thank you for the great tutorial! i can not seem to be able to save the monogram! help!!! 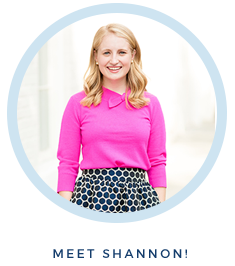 The link you gave has been closed down .... unable to make monograms .... do you know of another site? Do you have a different link, the one you posted doesn't work. help! chicfetti doesn't work anymore! Is there another link we could use? The one you posted is no longer available.